Inspired by glamorous art deco design, the Ziggy Bed frame by Daytona features decorative brass embellishments that complement the luxurious fabric upholstery. Hand-crafted from strong plywood, the supportive base is padded with multi-density rubber and finished with painted steel bracket fasteners. 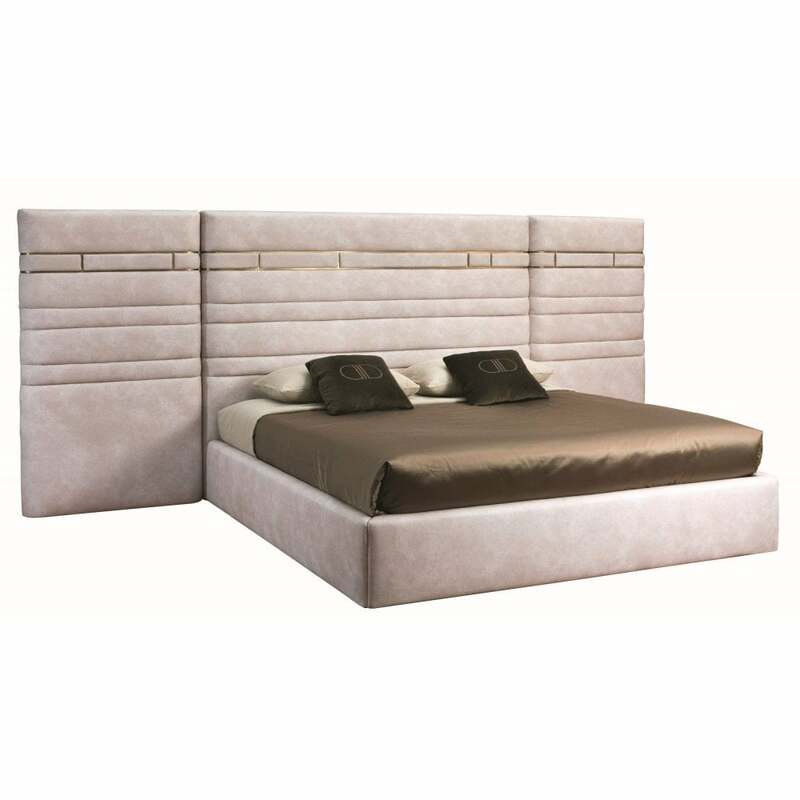 The headboard and base are available in a choice of leathers to suit your bedroom colour story. Our favourite colours range from the muted 1930’s hues of moss green, coffee and pale pink. Create a statement with the Ziggy bed and style with silk bedding and a faux fur throw to create that hotel chic look. Get in touch with our team to discuss bespoke options.